MPEG-7 can be used to create complex and comprehensive metadata descriptions of multimedia content. Since MPEG-7 is defined in terms of an XML schema, the semantics of its elements have no formal grounding. In addition, certain features can be described in multiple ways. MPEG-7 profiles are subsets of the standard that apply to specific application areas, which can be used to reduce this syntactic variability, but they still lack formal semantics. 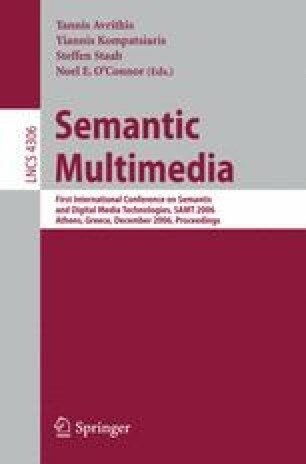 In this paper, we propose an approach for expressing semantics explicitly by formalizing the semantic constraints of a profile using ontologies and rules, thus enabling interoperability and automatic use for MPEG-7 based applications. We demonstrate the feasibility of the approach by implementing a validation service for a subset of the semantic constraints of the Detailed Audiovisual Profile (DAVP).